Chances are at some point we’ve all done it. You’ve seen an awesome cat video online, wanted to share it with all your followers on Twitter, and have clicked that sweet “Tweet This” button on the screen of the website you’re browsing to do so. 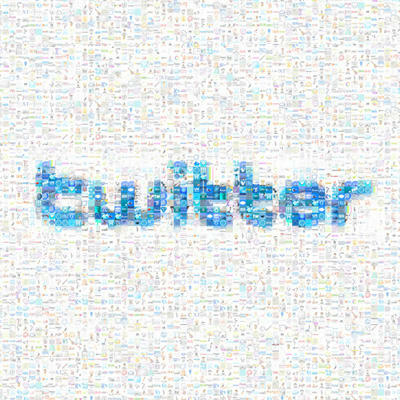 While lots of websites use the same services to tweet links on your account, there are also just as many sites and services that use their own special ways to get access to your Twitter account. Last week, Twitter announced that it was going to change the way it lets those sites and services get access to your account. The way it was, if you gave a game access to your Twitter account to post your new awesome high score, you were also giving it access to read through your Direct Messages, and anything else it was interested in. Now, Twitter isn’t allowing those third-party applications to get access to your direct messages, and if making you agree again to give access to any third-party Twitter applications you’re using that may need that ability, just to make sure you want them to have it. So, all that bring up an important issue: How do you deauthorize a third-party application or site from having access to your Twitter account? 1. 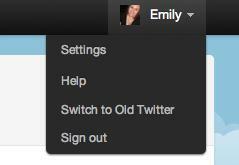 Log-in to Twitter, and then select “Settings” from the drop-down menu at the top of the screen. 2. Click the “Applications” tab in your settings menu to see all of the applications that currently have access to your account. 3. Click “Revoke Access” beside any application you have given access to your account in the past, that you would like to take that access away from. Keep in mind if you take away access from an app, you’ll have to authorize it again if you decide you want to use it again. For instance, if I take away access for Flipboard, I’ll have to set it up again if I decide I want to check out my Twitter stream on that app again. I know the first time I went through and looked, I had given access to my Twitter account to WAY more sites than I remember, and plenty of applications I hadn’t used in years. 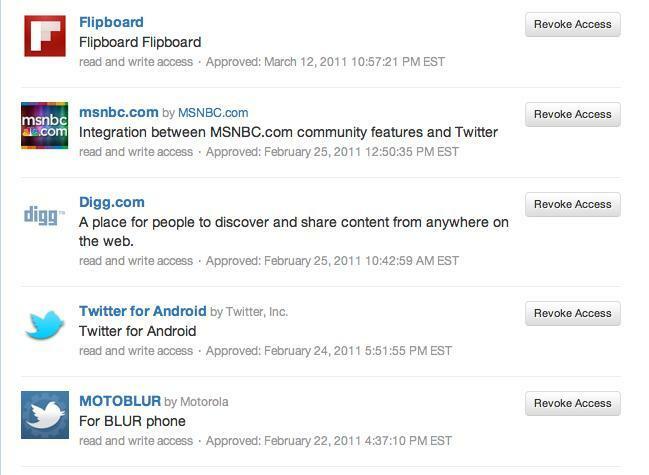 Did any of you find any applications authorized to use your Twitter account you don’t remember giving access to?